It is an honor and privilege to serve as your Supervisor of Elections. My staff and I strive to conduct fair, open and transparent elections in the most efficient and professional manner possible. The Mission of The Dixie County Elections Office is to ensure the integrity of the electoral process and to enhance public confidence while encouraging citizen participation by providing voter education to citizens of all ages. We hope you will find our website user-friendly, with answers to your questions. The site has many links with various information that we hope you will find helpful. As always, if you can't find what you are looking for, please feel free to contact our office at (352) 498-1216, e-mail: dixiecountysoe@bellsouth.net or just stop by your elections office and we'll be happy to assist you. Do you want to change party affiliation? Do you want to request a Vote-by-Mail (Absentee) ballot? 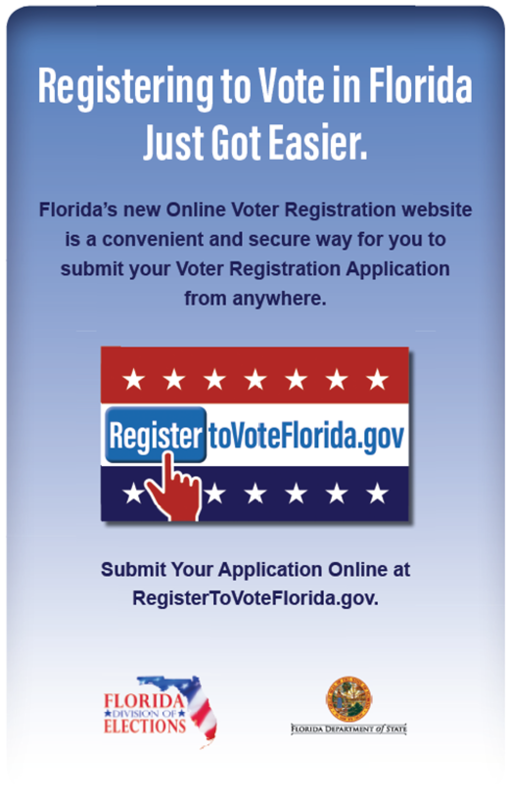 The Dixie County Supervisor of Elections cannot be held responsible for the content, accuracy or availability of any external sites linked from within these pages. In addition, Florida has a very broad public records law. If you do not want your email address released in response to a public-records request, do not send electronic mail to this entity. Instead, contact this office by phone or in writing.